The seat accommodates growing little ones as the seat insert can be removed for extra space, while the ergonomic design offers comfort when it's time to sit and relax. 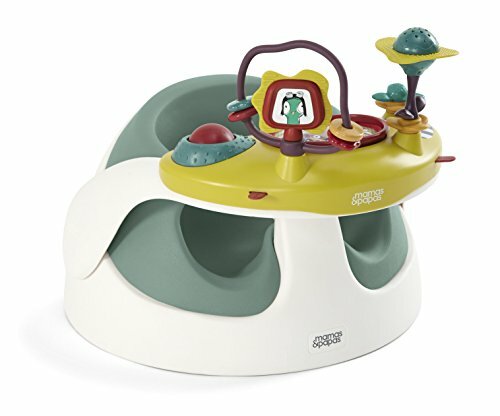 An extra-wide base offers stability, and the activity tray is equipped with colorful toys that can keep baby happy and engaged. Rest assured that messes can be tackled in no time, thanks to the wipe-clean design that's also lightweight for simple portability. If you have any questions about this product by Mamas & Papas, contact us by completing and submitting the form below. If you are looking for a specif part number, please include it with your message.